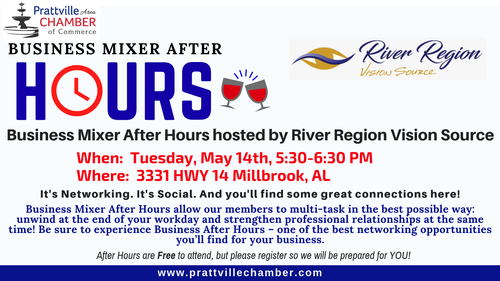 Grab a co-worker or a friend and join us for a great Business Mixer After-Hours! Come network with other members and community leaders while strengthening existing relationships. Business After-Hours--one of the best networking opportunities for your business! Be sure to bring your business cards for networking and door prizes! Business Mixers are FREE but we ask you to register so we will be ready for you! Remember to bring your business cards for networking and to register for door prizes!